If you think the days of handing out party favors are behind you, think again. 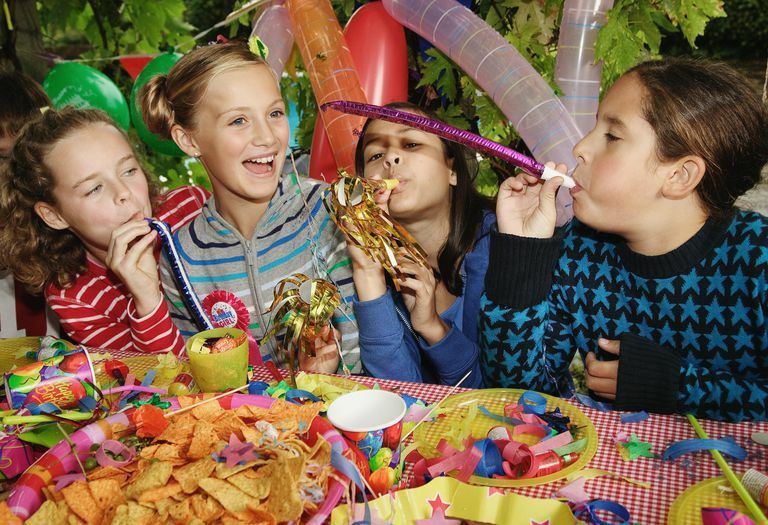 Tweens may be growing up and developing a newfound sense of independence, but they still love their parties. Whether you're planning a birthday party, Halloween party, or another special event, don't forget to send guests home with a bag full of fun treats. Sure, tweens may no longer be interested in finger puppets and tiny jars of Play-Doh, but there are plenty of age-appropriate goodies that are sure to please. When you're choosing your party favors, try to think of one larger, feature item you know the kids will flip over. It could be something like a game for boys or a bracelet kit for girls. The rest of the bag can be filled with smaller things and edible goodies, but most of their attention will go to the showstopper and make the event even more memorable. Need a little inspiration? Let's explore inexpensive and unexpected party favor ideas to get you started. Whether you're throwing a full-blown Halloween costume party or an ordinary slumber party, there are a few essential items your goodie bags should never be without. Tweens love fun novelty items and oftentimes the only place you can get them is in a party favor bag. No party favor bag is complete without some type of treat. You don't want to skimp on the best part but you can include something that doesn't overload your guests with sugar. There are many individually wrapped food items and other treats that are the perfect additions to any goody bag. Individual servings of popcorn, pretzels, potato chips, nuts, cookies, raisins, fruit snacks, etc. Individually-wrapped candies, such as Smarties, Tootsie Rolls, Pop Rocks, Pixy Stix, Fun Dip, etc. Keeping finicky preteens entertained doesn't require much time or money. Games, puzzles, and other activities always seem to go over well with the preteen crowd. For girls, the party favor options are endless. If you're assembling bags for preteen girls, you don't have to search far and wide for things to include. Depending on your perspective, boys are either easier or harder to buy for than girls. Sometimes less is more for boys. They may be happier with a gift card to the local bowling alley than they would be with a bag full of stuff they might never touch. If you love a craft or baking project, you can really add a personal spin to your party favors. Swap store-bought food for some homemade snacks and treats or turn to some of those cute and simple craft projects on your Pinterest boards. You can even plan an activity in which the kids get to create their own party favor. You might even think about crafting custom bags with your tween to put everything in. Let your creativity shine when putting together your goodie bags. After all, your kids are growing up and you won't get many more chances to do this. Keep your budget in mind as well and everyone will be delighted with what you put together.